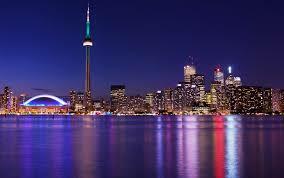 The International Studies Association (ISA) 2014 Annual Convention takes place in Toronto on 26-29 March. Ben O'Loughlin from the New Political Communication Unit has been invited to participate in a roundtable, 'International Relations & Communication: Connecting Spaces and Places'. A focus on “geopolitics in an era of globalization” underscores the importance of integrating political communication concepts into international relations. Each panelist on this roundtable will address how an analysis of communication and/or information technology contributes to a broader understanding of space and place in international relations. Below are the participants and the general topic area on which they will focus. All will share insights on broader theoretical themes. If you're at ISA we hope you can join us for the debate.